We know that a lot of our clients have a very busy Lifestyle and can't find time to take a dog to a training class, or it might be that you want your dog to have more in depth training or maybe your dog has some behavioral issues, let our experienced trainers do the job for you. 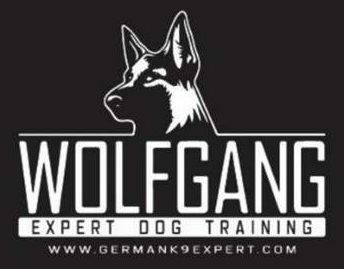 We offer a 3-4 week In Kennel dog training Program, custom tailored to our clients needs. We guarantee to have your dog completely transformed when its time for you take it home. Our unique training program is exactly what your furry friend needs. Our in kennel training is a 3-4 or 4-6 week training program to gives your dog 1 on 1 training with a trainer. The dog stays in our facility for the duration of the program. 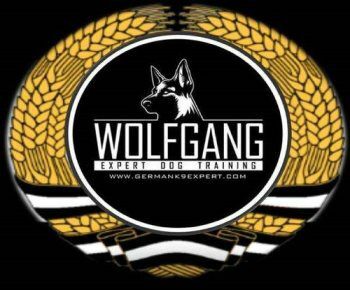 We focus on targeted training and in depth obedience training, advanced obedience training, behavior modification, socialization and protection training. What the customer wants is what we do. At the completion of the training program, we introduce the dog to the client once again. We call this, our transfer sessions. Our transfer sessions transfer all authority from the trainer, to the client. Its a smooth transition of command. As a part of the package, the client is welcome to join our weekend group training sessions with the rest of our family. Our training program is unique. We inspire behaviors through motivation and then comes repetition till a habit is formed. A balance of positive motivation with as little negative reinforcement as possible. We back all of our training with a 100% guarantee. You are not just a client, you and your dog become family. Call to inquire about pricing. - Of course, our main purpose of in-kennel training is to home-train your dog. We don't want to have your dog causing a mess inside your home. - It teaches your dog that there are rules they must follow when it comes to your home. We teach your dog that there are certain rooms they must not enter. This will limit your dog by not giving her the chance to chew up your precious belongings. - Our in-kennel training will teach your dog to be safe and protected while inside. We find a suitable area to place your dog's in-kennel. We teach your dog that this is their new home and to have them feeling comfortable every small step of the way. We don't use force in our in-kennel training at all. Once your dog is getting even more comfortable with our in-kennel training, we have your dog stay there for short time periods. We teach your dog by giving them the commands that your dog can understand during our training. Whining: Whining comes to the territory when your dog whines during the night. We will never mistreat your dog. They are family to us. We use many conditioning exercises and techniques that alleviates your dog from whining. Separation Anxiety: While in-kennel training your dog, separation anxiety has the potential to come up. We always do our best to encourage your dog in a cheerful and friendly manner that their in-kennel is their new home and continue to do this until the in-kennel feels natural to them. Ready to start In-Kennel Training? You can complete the application and make the payment online. This will also guarantee a space for your dog when you start the program.